I am not what you would call an "outdoorsy" person. You will certainly never find me sleeping in a tent in the woods, but in the summer, I love to spend time being active outside. This weekend I may have overdosed on the outdoor activity time just a little bit. We already know I kicked the weekend off with a Friday evening 5K. 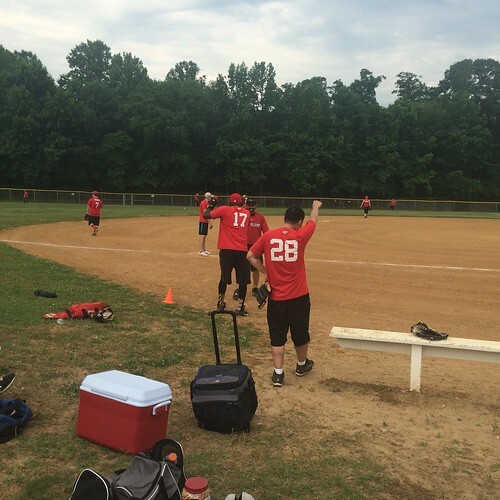 I followed that up with a softball triple header on Saturday, which was beyond exhausting, but of course, so much fun. 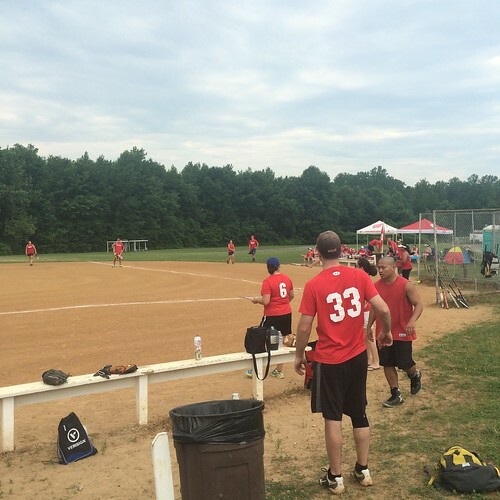 We won all three games that we played, and I seemed to rebound a little bit from my hitting slump. But man did all those hours in the sun wipe me out. It was in the 90s all day with really high humidity. I got home and did nothing besides lounge by the pool for the rest of the evening. Then Sunday, I thought it would be a good idea to wake up early and go for a 90-minute hike out near Great Falls. Part of the hike was plenty easy, but there was also a decent amount of nice, steep hills to climb. Just what my very sore legs needed. 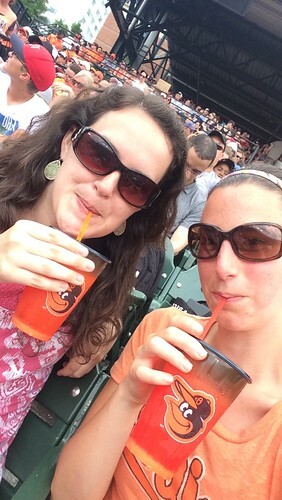 I rounded out Sunday by sweating off half of my body weight while baking in the sun at the Orioles game. The Os were struggling, and the game was taking forever. We ended up leaving in the 6th inning because we just couldn't stand being outside anymore. I've never been so glad the air conditioning in my air turns on quickly. Despite all the time in the sun, I managed to not really get sunburn! So much win! And I'm now looking at what other fun outside things I can do this coming weekend! 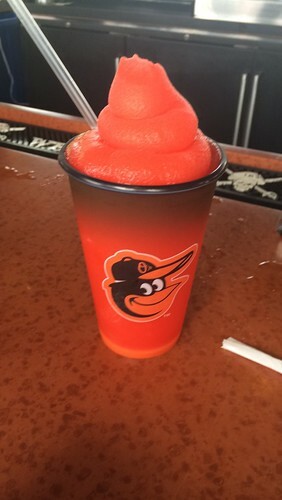 Frozen margaritas from the centerfield bar always hit the spot!